France banned the practice in 2011 over the objections of the oil industry. 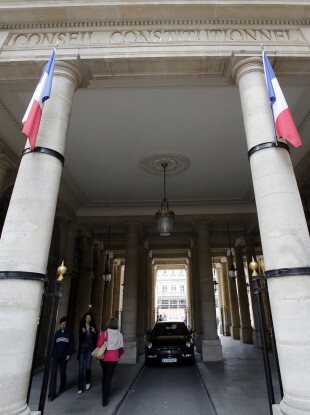 The Constitutional Council in Paris. FRANCE’S CONSTITUTIONAL COUNCIL has upheld a law banning fracking in France, keeping in place a law that had been a centerpiece of the Socialist president’s campaign. Activists say fracking, also known as hydraulic fracturing, is disastrous for the environment, spewing dirty water, fouling the air and sickening people and animals. France banned the practice in 2011 over the objections of the oil industry. Fracking – sending a pressurised mix of water, sand and chemicals into shale to release the gas – has changed the energy landscape. Its use in the United States upended energy markets and led to wholesale prices for Americans that are about a third of what customers in Europe pay. European Union lawmakers on Wednesday voted to require environmental studies from companies that want to use fracking. Email “French court upholds ban on fracking ”. Feedback on “French court upholds ban on fracking ”.